A Sabahan’ writes about UMNO’s use of “Ketuanan Melayu” in Sabah in a letter that was published in Malaysian Mirror. I would like to convey my deep frustration with what is going in the state of Sabah, my home. I was born and raised in Kota Kinabalu. I am a half-Kadazandusun Murut (KDM) guy, but I mainly identify myself as a Malaysian and a Sabahan. I still am very proud of both halves of my ethnicity. My dissatisfaction arose in 1994 when Sabah fell to BN in the most dirtiest, disgusting manner – when BN bought over elected MPs from PBS to cross over, following its loss in the state election. Thus, began the UMNO chapter in the political history of Sabah. Or if you like, the Sabah chapter of UMNO. At that time, the BN coalition comprised a number of parties. I do not recall all the parties or the number of seats they obtained in the election. Then came the chief minister rotation system. Every two years, a representative from one of the three communities, namely the non-Muslim bumis, Muslim bumis and the Chinese take turns to govern the state. Soon, Umno began taking over most of the seats in the state. Finally, it was decided that the rotation system would end, with Musa Aman conveniently at the helm of the government. He has been the Chief Minister for five years already, with unbelievably, no apparent dissent at all. There are actually many issues bugging me right now, but I shall only express one that has been bugging me the most. We all know the central ideology of UMNO is “Ketuanan Melayu,” the racist belief that the Malays are the “boss” in this land. Historically, this idea seemed to apply only in Peninsula Malaysia in tandem with the “social contract.” However it seems this ideology has reached our shores in East Malaysia. As you might know, there are not many ethnic Malays in East Malaysia, and they are not normally regarded as being indigenous to Borneo. However, pockets of so-called Malay communities do appear in southern Sarawak. They are often linked to, or associated with the Melanaus, and also in Sabah, who typically identify themselves as Brunei Malays. Before I carry on, I strongly believe that Ketuanan Melayu (KM) is an egotistical propaganda created to further the agenda of Umno to suppress the non-bumis in many aspects of life. This is the Umno version of KM. However, I do also believe in the existence of an alternative and milder definition of “Ketuanan Melayu” whereby the special rights of the Malays such as having a Yang di-Pertuan Agong and the sultans in the Malay states and the supremacy of Bahasa Malaysia, and perhaps also having a Malay PM, are protected. This is not the issue. But the UMNO version of this ideology is more extreme, in that, it seeks to extend Malay supremacy to almost every arena of governance and even social life. 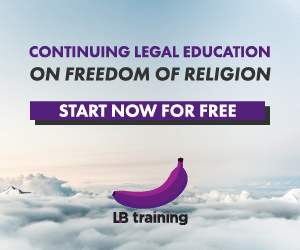 For example, that the head of judiciary, head of police, head of military, head of major corporate companies, even principals of secondary schools, etc. – have to be Malay. I can subscribe to the milder version of KM at the national level but I cannot subscribe to UMNO’s version of it. Going back to Sabah, I have actually witnessed that many Muslim Sabahans are beginning to identify themselves as Malays. These Sabahans could either be Bajaus, Bugis, Suluk, Malay, even Kadazan Muslims, etc. How it all started I’m not sure, whether certain Malays from the Peninsula wanted to extend their sphere of influence by proposing that they are also Malays and that they should begin seeing themselves as Malays, or whether it is the Muslim community themselves who thought that it is the next logical thing to do. I think it is the former which is the more plausible explanation. My question is, why? They already have so many “identities” to hold for themselves: a Sabahan, a Bajau, a Muslim, a Malaysian, a human being. Why must they also be a Malay? It’s not really a big problem for me if they want to call themselves “Malays.” By all means go ahead. But when they begin to shout “Ketuanan Melayu” here, then it shows an ulterior motive in the adoption of this new identity, which I am against. As if this is not enough, they have also begun acknowledging immigrants from Indonesia and perhaps also the Philippines as “Malays.” I have heard a lot about this “conspiracy” called “Project IC” aka Project M, but I never brought myself to believe 100% in its truth since most of the things I heard about it is just hearsay. But attitudes of UMNO members of late made me believe more in the existence of Project M.
A statement floated in by one person on an online forum recently – where he suggested we embrace these immigrants as our brothers provided they adopt Islam and are Malay – confirmed my suspicion on both counts. That is, that i) Project M exists, and ii) Ketuanan Melayu is a racist propaganda that has reached Sabah and has been entrenched in the minds of some Sabahans here (for more information please read When States Prefer Non-Citizens Over Citizens: Conflict Over Illegal Immigration into Malaysia by Professor Kamal Sadiq of University of California – Irvine). A Malay is clearly defined in the Federal Constitution as a person who habitually speaks Malay, practices Malay customs and professes Islam. Clearly as a KDM, I am not a Malay. Though UMNO sometimes insists that we are also Malays which is plain nonsense. Seriously, who are they trying to bluff? So what is the result of this? Soon, the Muslims in Sabah may unite under the Malay banner and we are no longer seen as brothers in this land of ours. KM is slowly turning the Muslims against the non-Muslims. A clear example of this is the 1986 riots around Sabah. The rioters were seeking to oust Joseph Pairin Kitingan. Why? Did he cheat in the elections? No. The only reason this riot happened, in my opinion, is because Pairin is a Christian. Of course, upon being provoked by certain leaders. 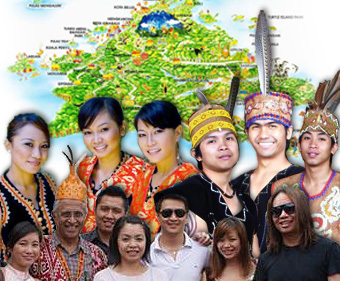 We have always been multiracial yet a united society in Sabah. That is why since our independence we have had KDMs, Bajaus, Chinese, Suluks, Malays, etc (or Muslim, Buddhist, and Christian) as chief ministers in this state. Compare this to, say, Johor, Terengganu, or Penang, which only had a CM from one particular race only. But ideologies such as KM are destroying our unique open social mentality. We could have been a role model on how racial relations should work in Malaysia. Sadly, communal mentality has seeped into the mainstream society of Sabah. We never cared much about race, but now it seems we must bow down only to Malays. We are also told to fear the Chinese, as they are only interested in stealing our money and exploiting us. Is it a coincidence that both Sabah and Sarawak have Muslims and a somewhat “Malay” person as the CM when, in fact, there is a significant population of non-Muslims (mainly Dayaks) here? I seriously don’t care if Malays (from Sabah) get to be the CM of Sabah, but when they are implicitly telling us that from now on only “Malays” can be the CM, then you are no longer welcomed in Sabah. Sabahans should not bow to anyone. If one day, a KDM leader should declare that from now only a KDM can be a CM, and that the central ideology of the state is “Ketuanan KDM”, I would strongly oppose this as well, even though I am a KDM, because this is nonsense. The recent election was strongly influenced by money politics, the desperate need for development, poverty, lack of education, lack of exposure to the alternative media, loss of hope, weak opposition, and phantom voters. Sabahans also easily fell for superficial developments which do not even bring in much benefits. Intangible development in the form of education, morals and ethics are often overlooked. I do not believe that the true people of Sabah have freely sanctioned BN to govern this state. I hope your readers get the message of what I am trying to convey and not dismiss me as a racist. It is the KDM who are on the receiving end of racism. Even the Bajaus are feeling the heat and are fearing that their identity would soon be usurped by another “Malay” identity. The KDM are too soft and scared. The leaders are only interested in their own personal gains. UMNO is dividing and destroying Sabahans. They are flooding the state with immigrants and acknowledging them as Malays and bumis to distort our demography in their favour. So my appeal to Pakatan Rakyat is to please save Sabah before it’s too late. Put your differences aside for the sake of the rakyat in Sabah. For now, we need a strong viable opposition which is currently non-existent in Sabah. Even though you are a Peninsular-based coalition, we are putting our faith and trust in you. We need capable and genuine Sabahans regardless of race to lead this state. Give us back our autonomy and other rights enshrined in the 20-point agreement. God bless Sabah. Malaysian Mirror Editorial Note: We believe this letter has been published elsewhere. Since it was only sent to MM yesterday, we are publishing it here due to its content value. Posted on 20 June 2010. You can follow any responses to this entry through the RSS 2.0. The extended racial definition of Malays would actually include Filipinos and Indonesians and Brunei people, though Filipinos are mostly non-Muslim. as sabahan ,i would say this,,f%*k ketuanan melayu,i never n would never ever admit malay is my tuan,those malay can go f%&k their daughter,thats what their good at. YES- MALAYSIA IS REALLY COLONISATION OF SABAH & SARAWAK- DON'T FOOL OURSELVES THAT WE ENJOY FREEDOM AND "INDEPENDENCE IN MALAYSIA".. The writer of this post has been the most accurate and eloquent about the actual political situation in Sabah, and not too differently in Sarawak. He is right in his accusation of the betrayal by many local Sabah politicians of their fellow Sabahans. Apparently personal agenda and benefits supersede that of the larger interests of the state. In many ways, both the eastern states of Sabah and Sarawak has become no more than the colonies of the Peninsula under the current UMNO/BN rule. The peoples of Sabah and Sarawak must awake to this reality, and take all necessary action to prevent any further erosion of their rights and entitlements, values and mores.And the first thing they must do is to ensure the elimination of all the politicians who has betrayed their respective states.A good start would be to reject the current political parties ruling their states. this proved yet again my conviction on racial dispute that is abundant in Malaysia. i bet this guy must be happy living in Singapore since over there people are judged not on which race are you but how good are you. when we will have a neutral view on Malaysian since these idiocratic woes of racial cards is getting absurd by days? "A statement floated in by one person on an online forum recently – where he suggested we embrace these immigrants as our brothers provided they adopt Islam and are Malay "
i'm already irate by such post and i've seen one too many that reflects this upcoming trend. do we need to go another racial clash and terrible loss so that public will then see how worse the effects to the social economy aspect? will we ever see a salvation from this blasphemy? people that willing to sacrifice the needs of public just to serve own interest? enough is enough. wake up and smell the coffee. it is not too late to change the administration. let them tumble in their own disgusting political agenda. we are Malaysian. that speaks a lot.